The facade of the Hermitage Hotel along with its famous frieze has been repainted - and very well too. 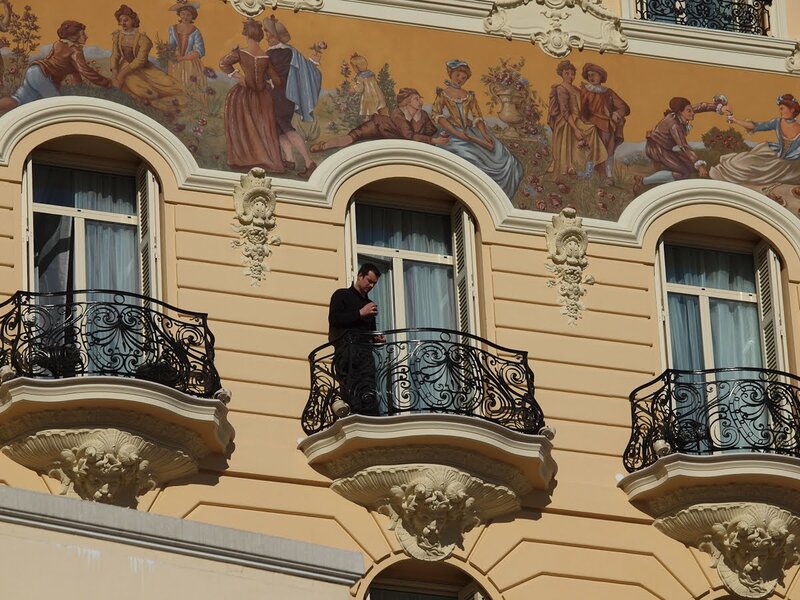 I love the requisite man smoking a cigarette too! Very nice Facade they did. The wrought detail and the gorgeous facade is a pleasure to look at.